This month's We Should Cocoa ginger challenge is hosted by Jen from Blue Kitchen Bakes. Last month's low/no sugar round up for We Should Cocoa's healthy start to the year can be found here on Choclette's blog. 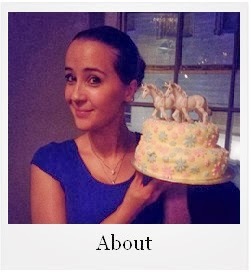 Don't forget to check out Choclette and Chele's blogs. Have you seen the influx in childhood favourites and classics made adult? You know the ones. Want to know a secret? I feel let down if they don't contains disturbing amount of chili or alcohol. I'm talking filthy boozy ice creams and cauliflower cheese with mountains of Cajun seasoning. Because, if they didn't have heat or an alcoholic content, then they'd just be vamped up and perfectly child safe. 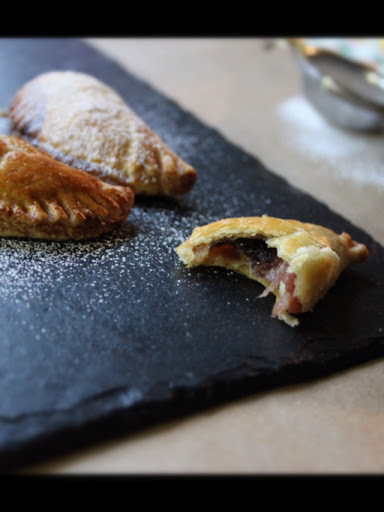 These small hand sized pies are flakey and buttery. With a semi sweet rhubarb and defined whiskey taste. Simply replace the whiskey with a splash of water if you're not down with it. 1, Make the rhubarb filling first. Preheat oven to 200o/c and cut the rhubarb into bite sized chunks and place in an oven proof dish. 2, Add the whiskey, grated ginger and ginger syrup/honey and stir until everything is evenly combined. 3, Roast, uncovered, for 15 minutes or until the rhubarb is soft and beginning to caramelise. 4, Gently stir and set this aside and leave to cool completely before using. You will need to strain the syrup off too, just let it sit in a sieve over a bowl for a couple of minutes. 5, Make the pastry by sifting the flour into a large bowl with the salt. 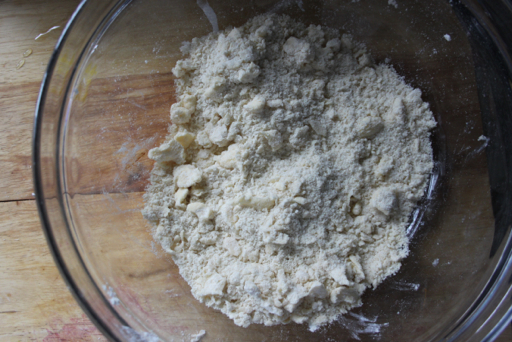 Toss in the butter and using your fingertips, rub it into the flour until you have a shaggy and lumpy consistency. This will make the pastry light and flaky. 6, Using a butter knife, add in the cold water, a tablespoon at a time and using a cutting motion, bring the pastry together. You want a soft but not sticky dough. 7, Preheat your oven to 190o/c and line two baking sheets with greaseproof paper. 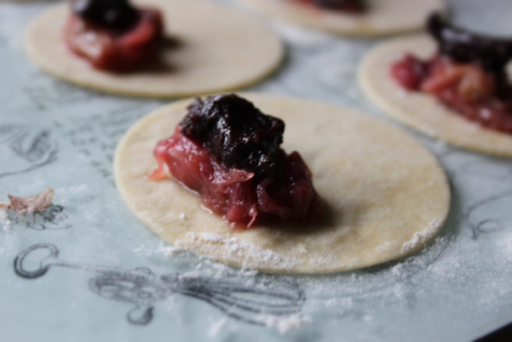 Roll out your dough to around 3mm thick. Stamp out 12 rounds, approximately 7.5cm in diameter. You might have some dough left over. 8, Divide the cooled rhubarb between the pastry discs, heaping it to one side. Top with a little Nutella if using. Dampen the edges around the filling with a little egg wash and fold the unfilled side over the top to form a semi circle. 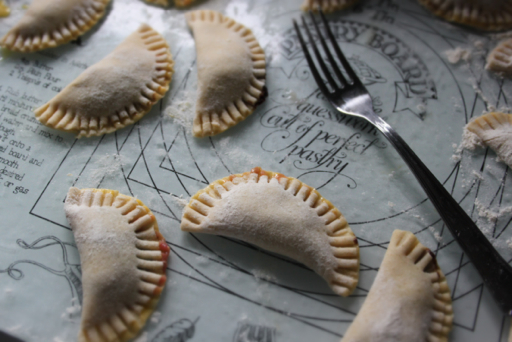 Crimp the edges with a fork, brush with the egg wash and place on the prepared baking sheets. 9, Bake for 15-20 minutes or until the pastry is golden and crisp. 10, Dust with icing sugar before serving. These are amazing! They look perfect - just the right size and the flavours...rhubarb, ginger and whisky - a stunning (and sophisticated) combination, why have I never tried this? Thank you, this is definitely getting bookmarked to do! 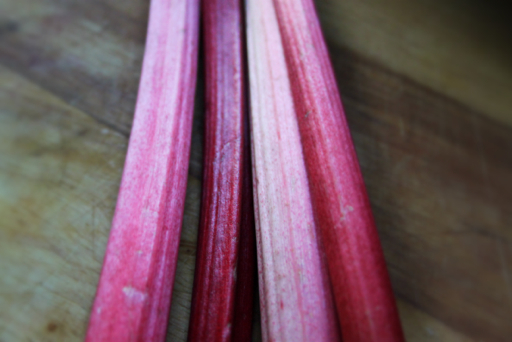 Thank you Katharine :) They were really good and perfect for rhubarb season! Oh, gorgeous! Fantastic flavours and love the first pic. Definitely saving this for winter! I love the pics too - an enchanting recipe! Thank you :) I spent half the time photographing them with another one in my mouth... Whoops...! Rhubarb and ginger is a great combination but I'm always up for adding some booze. Sounds an excellent addition to me. These sound lovely for a winter picnic, but it would have to be an indoor picnic - I'm not keen on the cold weather. Thank you Phil, they whiskey is a happy addition to the family of rhubarb and ginger. If you ate a lot of them with a few glass whiskey then I don't think you'd mind about the weather. 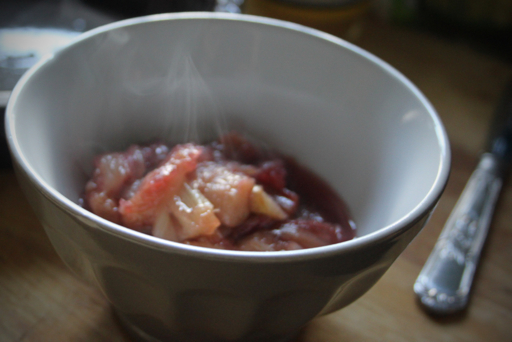 i adore rhubarb and it pairs so well with ginger. and small pies make them even more delectable i have just printed this out. thank you! 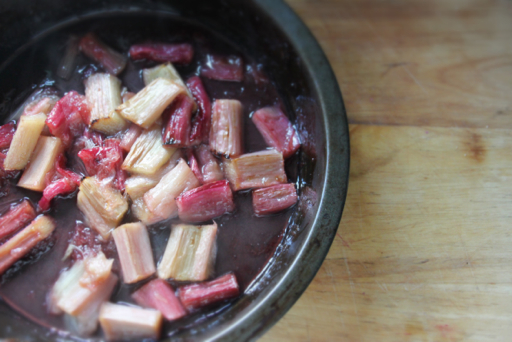 I love rhubarb and ginger together and with a little Nutella as well sounds heavenly! Thanks for entering into We Should Cocoa. 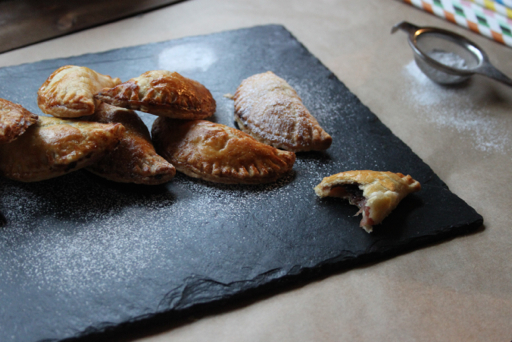 Oh Hannah, these are such cute little pies - I'm in love. I'm with you on the chilli, not so much the alcohol, but I suspect I'd rather like the whisky contained here. Very impressed with our pastry. 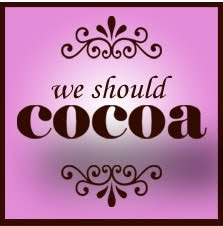 Thanks for another wonderful We Should Cocoa entry.